The upcoming weekend at the box office is shaping up as a battle of belated sequels, pitting the sequel to a film from 2003 against the sequel of one from 1996. After Finding Dory, Disney and Pixar’s sequel to Finding Nemo, made $135 million at the domestic box office last weekend - clearing the #2 movie, Central Intelligence, by $100 million - it will be joined this coming weekend by Independence Day: Resurgence, the 20th anniversary sequel to Independence Day. The two films are very different and likely going for two very different audiences. Dory is rated PG, Resurgence PG-13. However, despite Resurgence having the advantage of being new, Finding Dory is expected to extend its box office lead for one more week. According to The Wrap, Finding Dory is projected to earn $60 million this coming weekend, putting it close to $200 million total and placing it ahead of Independence Day: Resurgence, which is seen making $50 million. Two other releases, Matthew McConaughey’s abolition drama The Free State of Jones and shark thriller The Shallows, are expected to finish well below the top two. That projected total Resurgence is the same as its predecessor made in its opening weekend in 1996 - albeit not taking inflation into account, nor the huge difference in budgets. ID4 cost $75 million in 1996, while the sequel cost a reported $165 million. It’s hard to disagree with The Wrap’s analysis. Not only do Pixar movies tend to have staying power, especially when they’re well-received like Finding Dory has been, but it’s been a long time since the last Independence Day. Plus, Resurgence feels in many ways like a product of a very different time, when aliens and not comic book superheroes ruled pop culture and the box office. And of course, Will Smith, the primary box office draw among actors in the first movie, opted to sit this one out - with all due respect to Jeff Goldblum, he hasn’t had a big hit in awhile. Then again, ‘90s nostalgia is on the rise these days - from the X-Files revival to the Clintons possibly returning to the White House - and perhaps audiences will be in the mood for a reprise of one of the decade’s biggest box office hits, especially coming out ahead of the holiday that shares its title. Plus, Will Smith was far from an established movie star when ID4 came along, and perhaps the new film will make its young actors as stars the way the first movie did him. 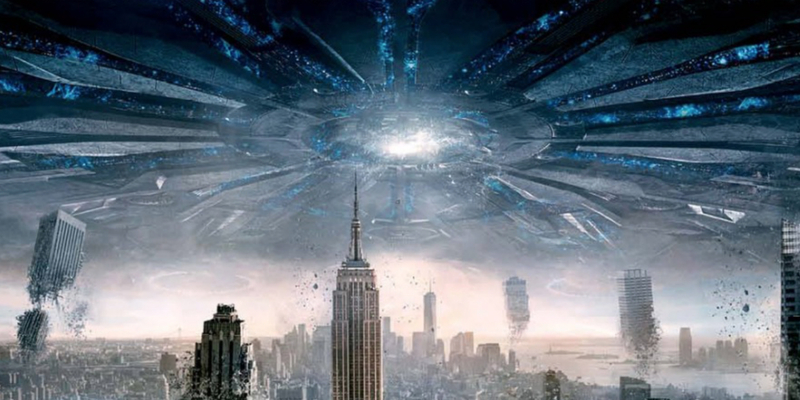 Independence Day: Resurgence comes out in U.S. movie theaters June 24, 2016. Finding Dory is in theaters.